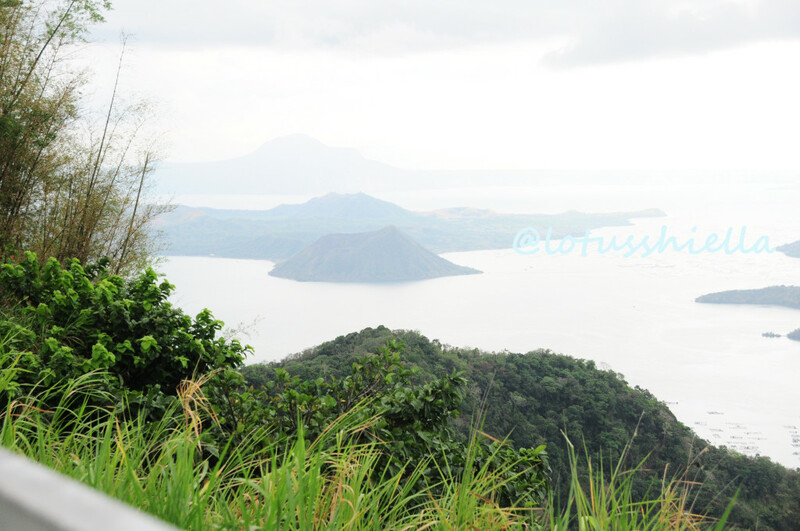 In our short stay in Luzon, we went to see a glimpse of Tagaytay too. 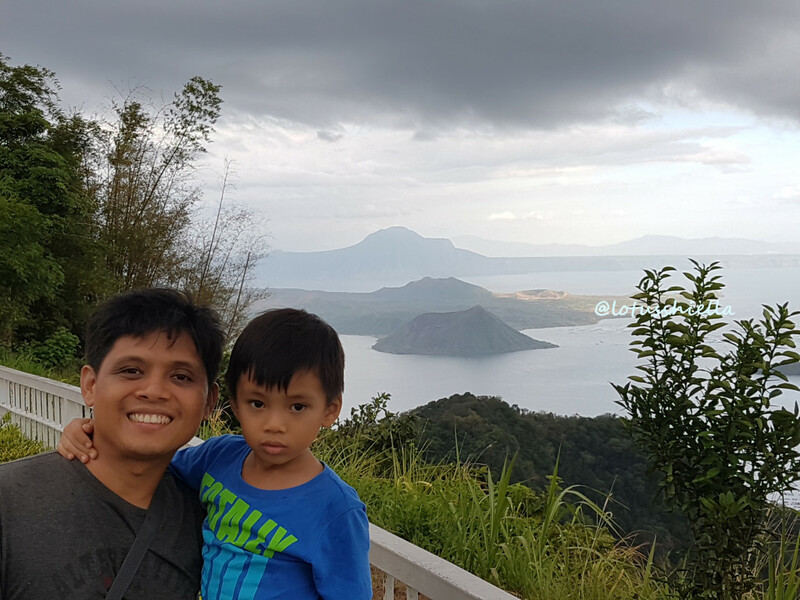 We just want to let the kids personally see Taal Lake and the crater which are mentioned in their Civics and Science textbooks. 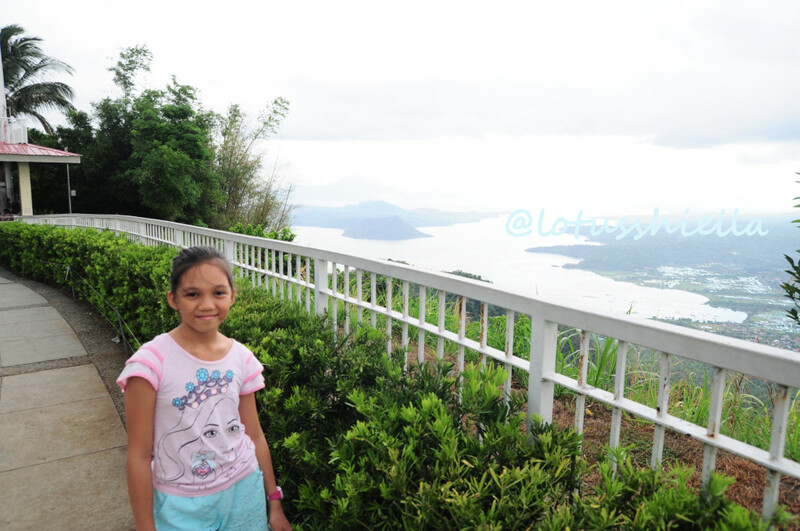 We went to see Taal Lake and Volcano thru Sky Ranch Amusement Park. I had to say, this park is expensive! 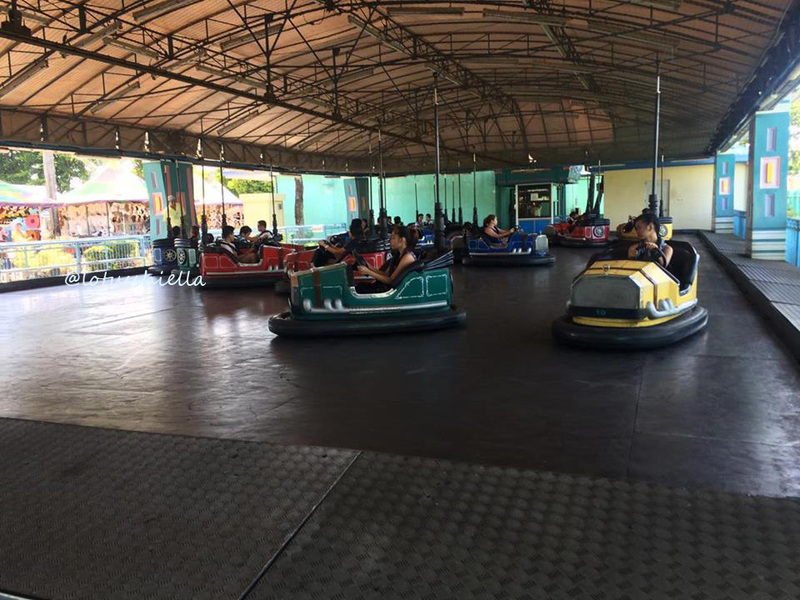 Entrance Fee is at Php80 and each rides has its own cost from Php50 to Php150. They don’t have entrance + ride all you can package or some sort. Considering there are plenty of rides to choose from and with 2 kids in tow, I’ll definitely end up money less! Inside the park are gazebos for rent, green and clean ground that I like it for awhile until I realized that they used artificial grass. Maybe because the management know that real live grass cannot withstand daily footstep from everyday visitors. Nonetheless, I still don’t like the idea of using artificial grass. 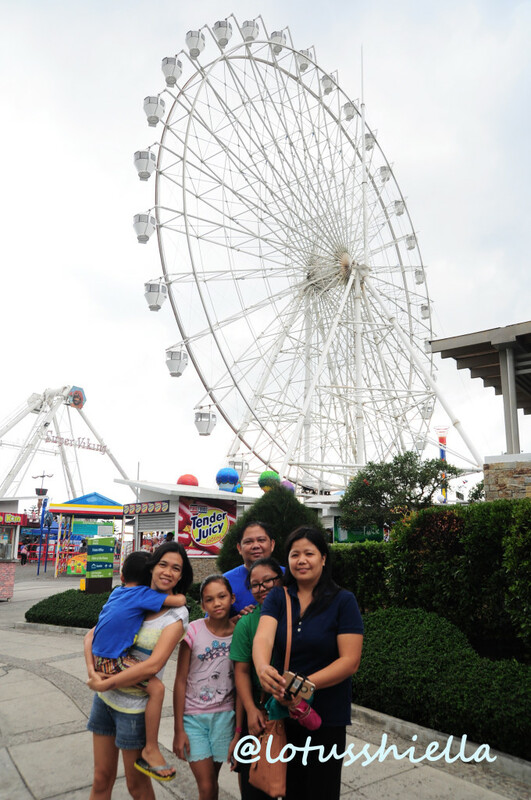 We decided to ride only the famous Sky Eye — ferris wheel taller than that of Enchanted Kingdom. 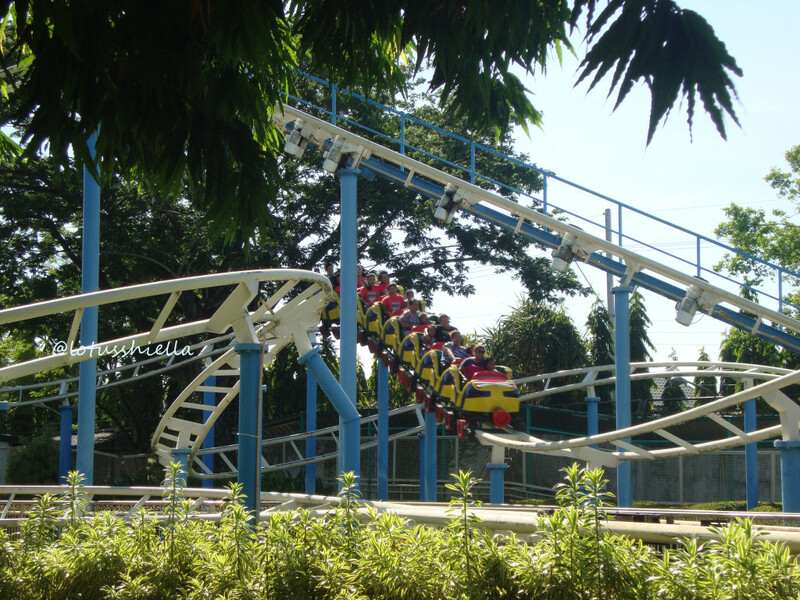 One loop ride cost Php150 around 8-10 min. 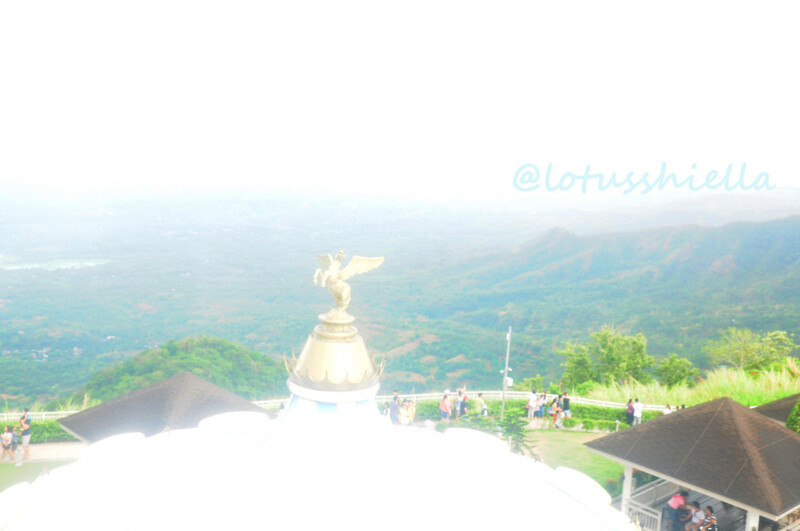 It still is expensive but we grab it to have a chance to see the beauty if Tagaytay and Taal Lake from bird’s eye view. Then the rest of our time were spent taking pictures or watching the beauty of the lake. 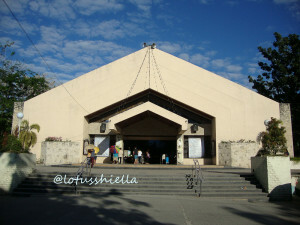 It rained for awhile and after we rested, we head back to Batangas. 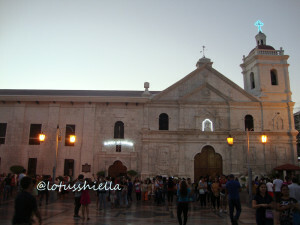 Because hubby had a scheduled business trip to Manila last month, I thought to accompany him together with our kids. 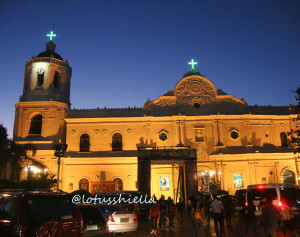 Its been awhile not seeing Manila again and this opportunity is a waste to disregard. 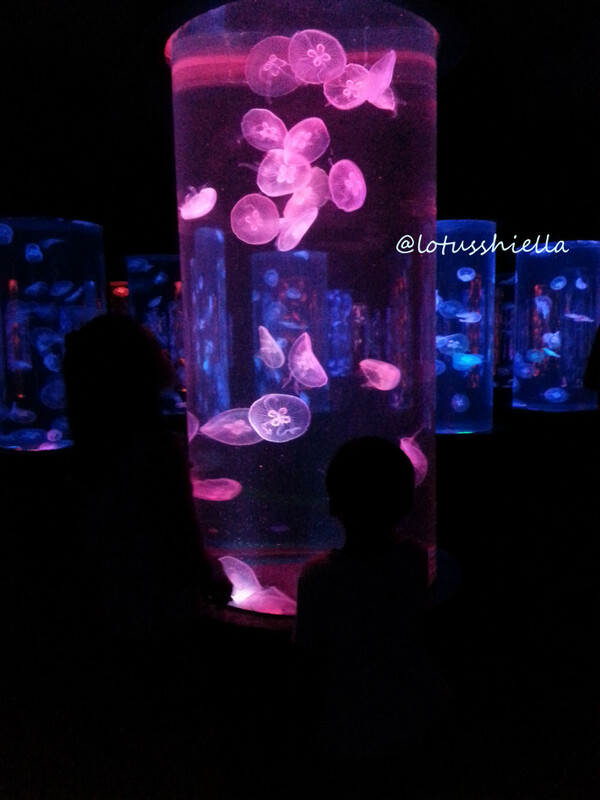 It will be our 10yo’s second visit while 4yo’s first. Me, my sister and hubby with some our college classmates used to work in Laguna way back our younger years and the thought of visiting Manila and Calabarzon area again makes me feel nostalgic on fond memories with work and colleagues and friends or waking up early to catch the bus ride to work, leaving office desk the first time the bell rings to catch the first bus ride to home, malling during off-duty days or having fun and experiencing the thrills at Enchanted Kingdom. 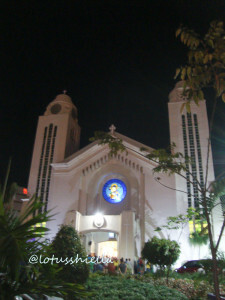 About 15-30 minutes travel from Sto. 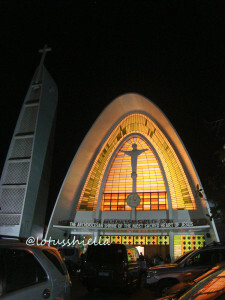 Tomas, Batangas thru Star Toll and South Luzon Expressway. 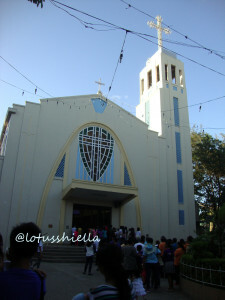 We stayed at my brother-in-law’s home in Batangas. Aimee, my brother-in-law’s wife suggested to go after lunchtime to avoid early heat exhaustion from hot summer weather. 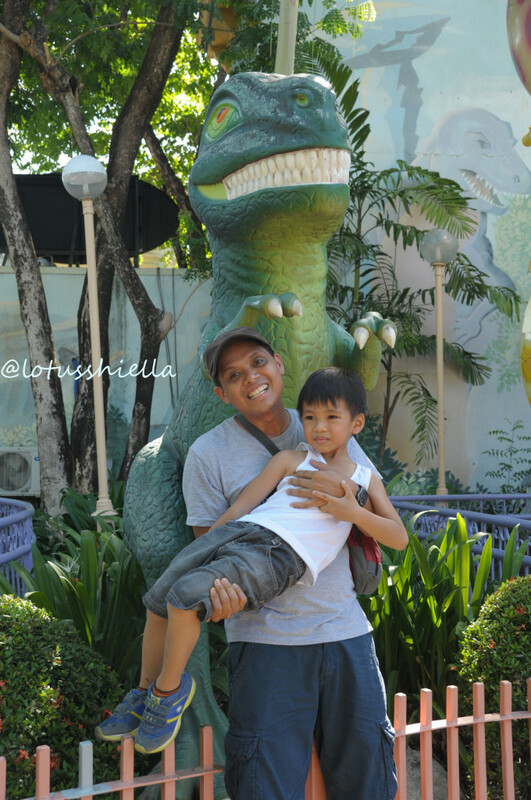 Also, my brother-in-law offered to drop us to the park as he will head to Sucat for a meeting. Thankful that we did, since the theme park did change their schedule to open at 2PM. Ticket costs is P500 for Adult Regular Pass and P250 for Junior Pass for kids below 48in height. 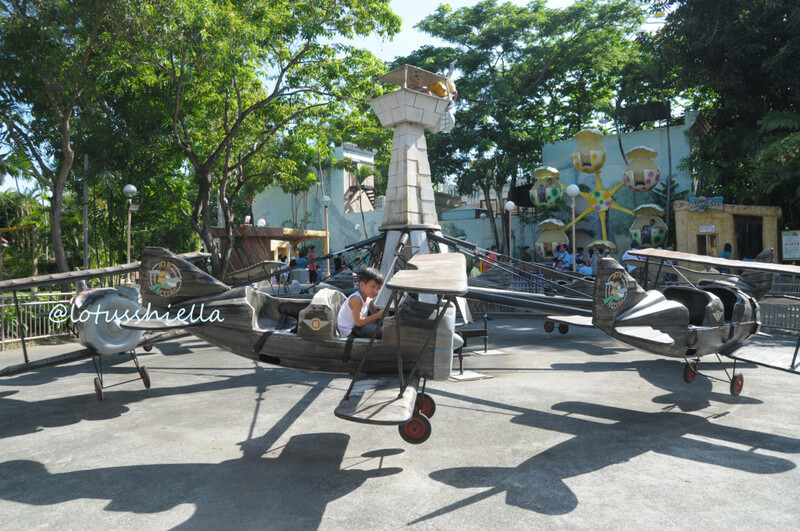 With the entrance cost, we get to enjoy unlimited use of park’s rides. With the cost though we were warned that there are rides that needs height requirement and our 4yo might not be able to ride on it. 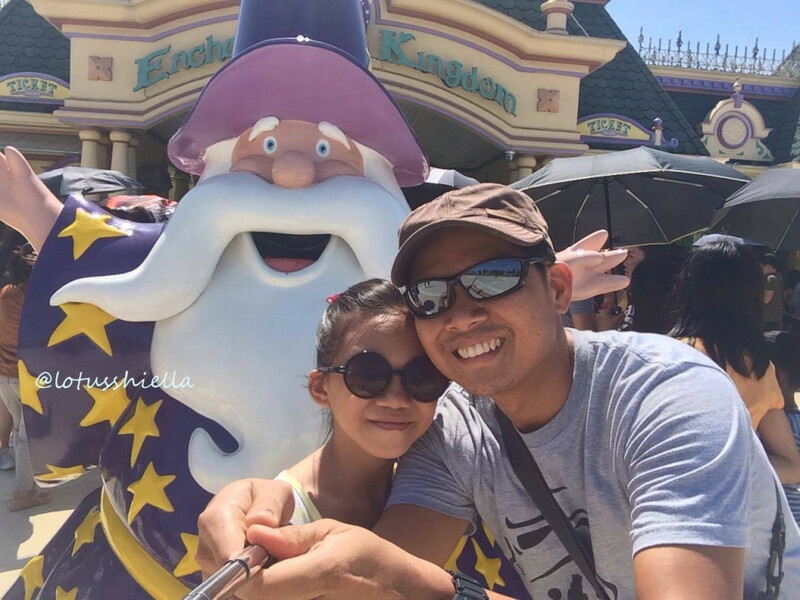 The 4yo was not in the mood at first, I’m not sure if he got scared from the huge crowd and long queues outside the gate or from the wizard statue or from the warm weather or from afternoon nap. Our first ride was the Dodgem (Bump Car). It is supposed to be mine and or 4yo’s ride but he didn’t feel better yet. Still I rode to get the feel of being young and having fun again It is a 2-minute ride to bump anyone in your way. I got problems maneuvering the steering wheel so I get to spend half of the time figuring how to used it thus, I got bumped instead. 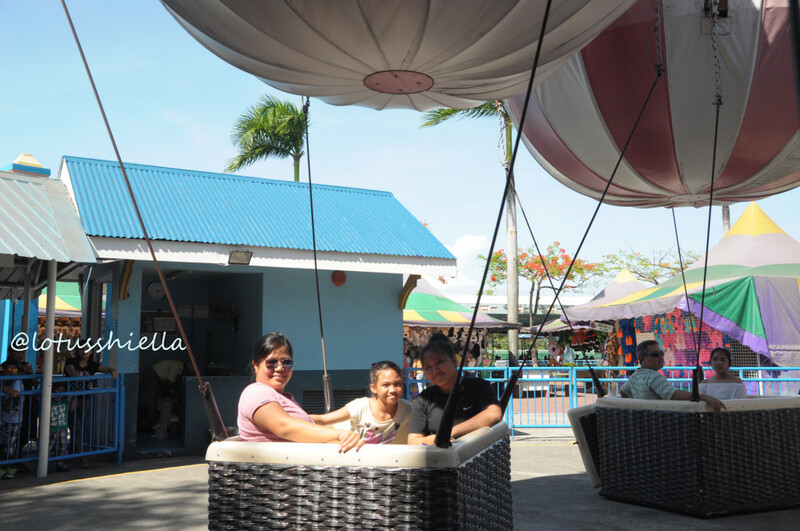 Our next ride is the Up, Up and Away (Ballon Ride) but it got me dizzy. 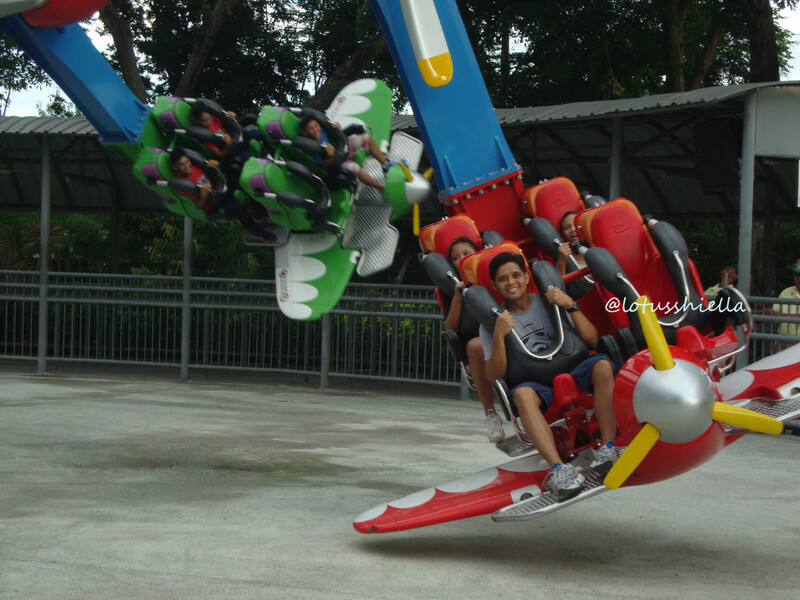 Those rides which will lift you up and swing you around through the air. 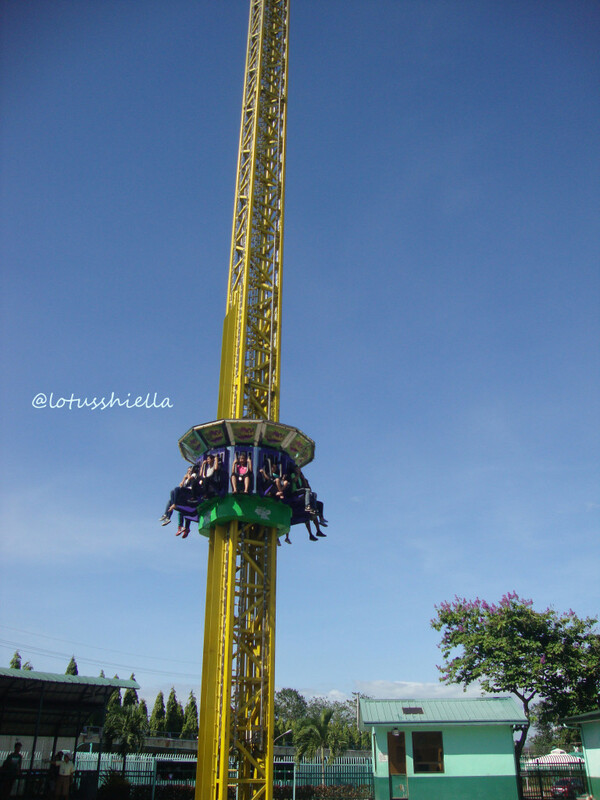 I still feel dizzy that I did not have the courage to ride the Roller Skater (small roller coaster) and EKstreme Tower (a sudden drop from above) ride. 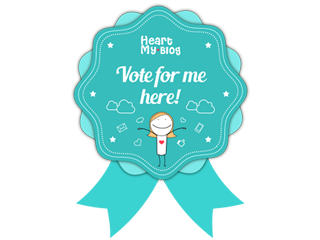 But hubby, Ate Coy and our 10yo did. 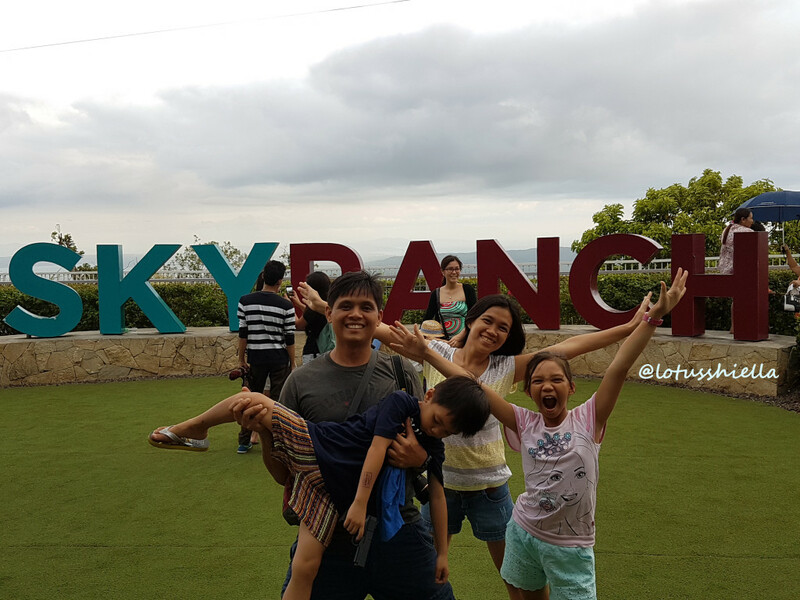 Our 4yo started to enjoy the park when he saw dinosaurs and when he was able to ride the Bumper Boat and Air Pterodactyle (airplane ride) while the rest of the gang went to ride the Flying Fiesta. Next ride is 4D Rialto — showing Rio. The show was nice and colorful. The 4yo doesn’t like getting shake on his chair or getting wet from the sprayed water, worst he doesn’t like wearing the 3D glasses. The 10yo loved the show and wants to watched it again. 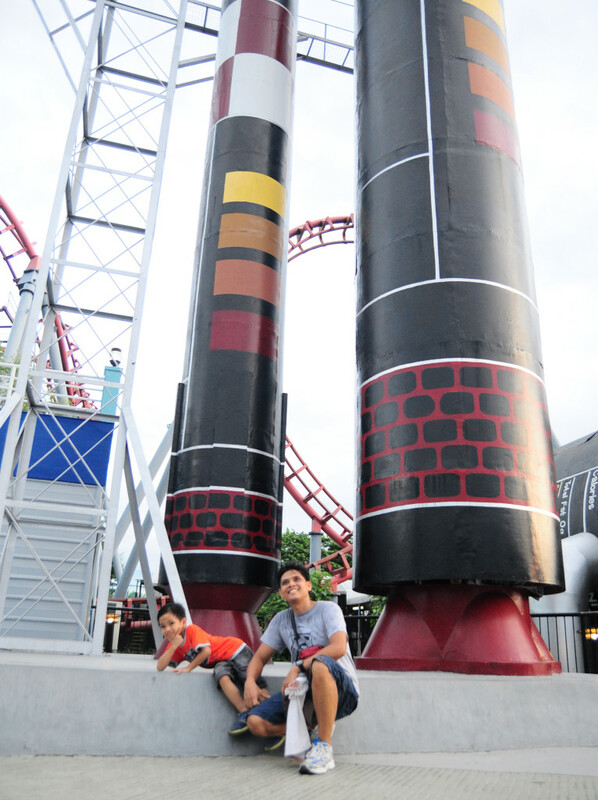 Hubby and 10yo also tried the Space Shuttle (big roller coaster). Our 4yo so want to try the Air Racer but was not allowed due to height limitation. Rider needs to secured because it is a 360 ride. 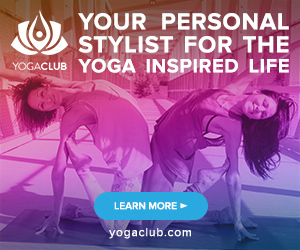 Imaging being upside down from the ground. Amazing. But settle for Jungle Log Jam. Because they are already wet from water ride, we tried Bump N’ Splash to get wet. We rode on Anchors Away. It is a pendulum ride. The last time I rode this, I seated in the back and it was scary. I don’t have the courage to sit at the back again thus I settled in the center but, I still feel those unbearable shakes in my tummy. 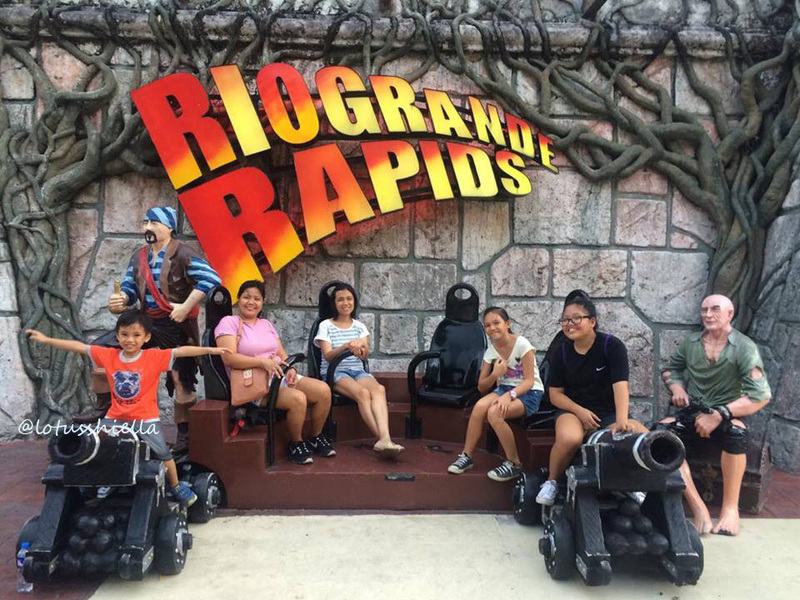 The best ride we have or rather our 4yo had was RioGrande Rapids, good thing queues are not long thus we got it enjoy the ride thrice. 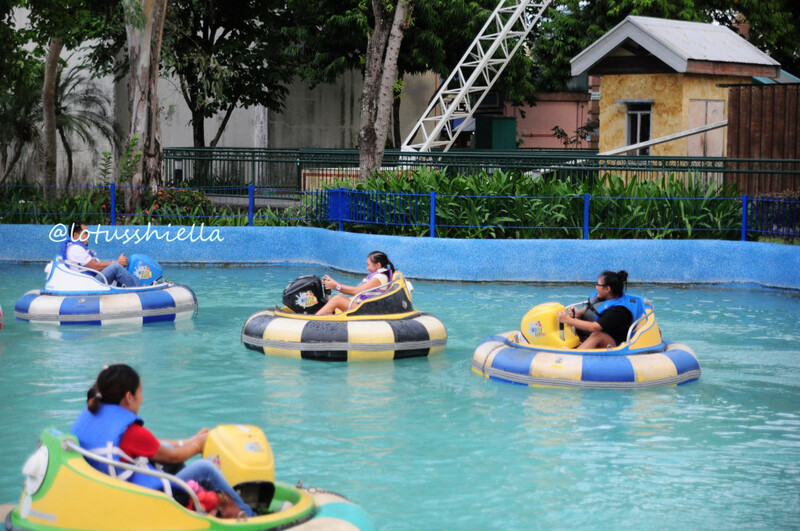 Happiness is when you see your kids getting excited being swayed from the water rapids or the giggles from the thrills of getting bumped and wet. It was the best for us. After changing clothers, our 10yo and Ate Coy ask for one more ride and tried Disk-O-Magic. Its like Anchors Away plus a revolving seat but was not able to take a picture already. Overall, it was so much fun. 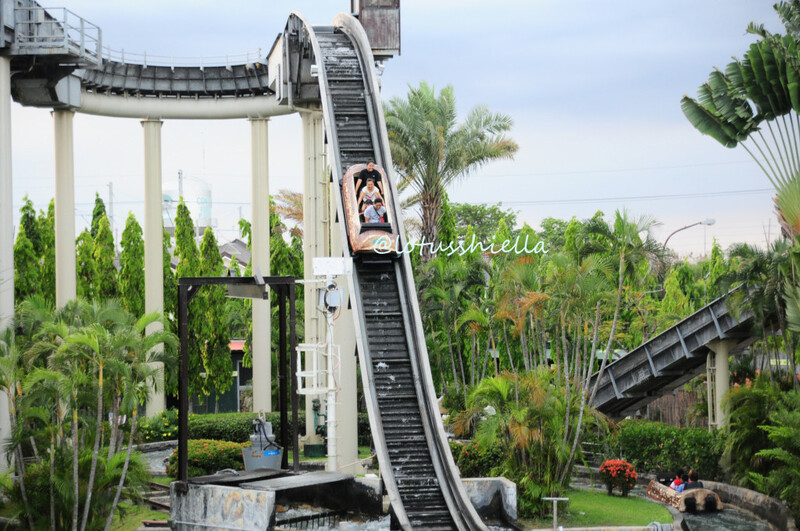 our 10yo and Ate Coy enjoyed the extreme rides while 4yo enjoyed the water rides. 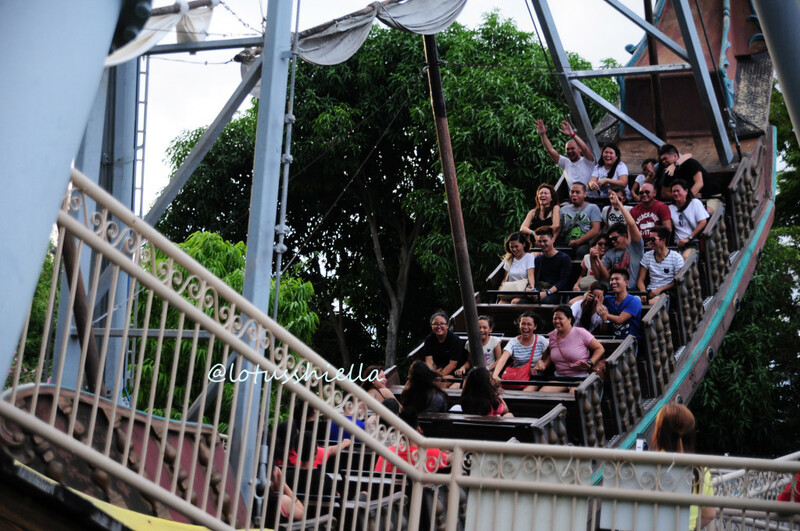 Thank you Enchanted Kingdom for the fun and thrills. Till next time. 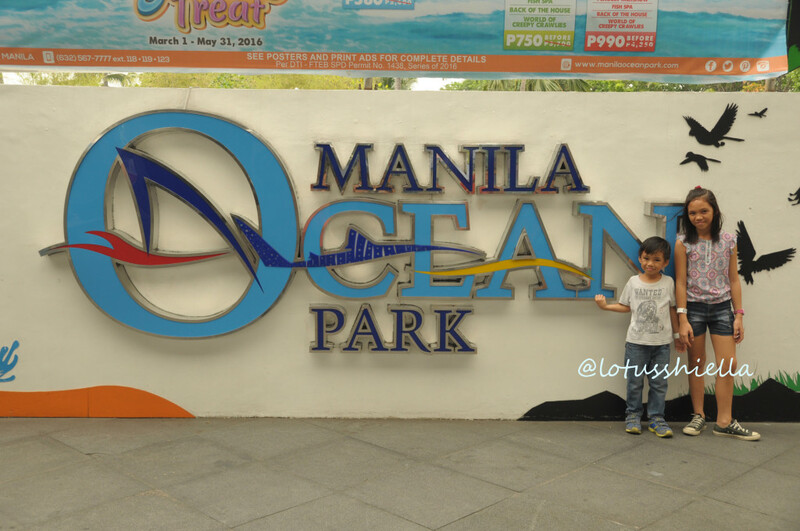 When you are in Manila and you tag along with you your kids, Manila Ocean Park is for you. 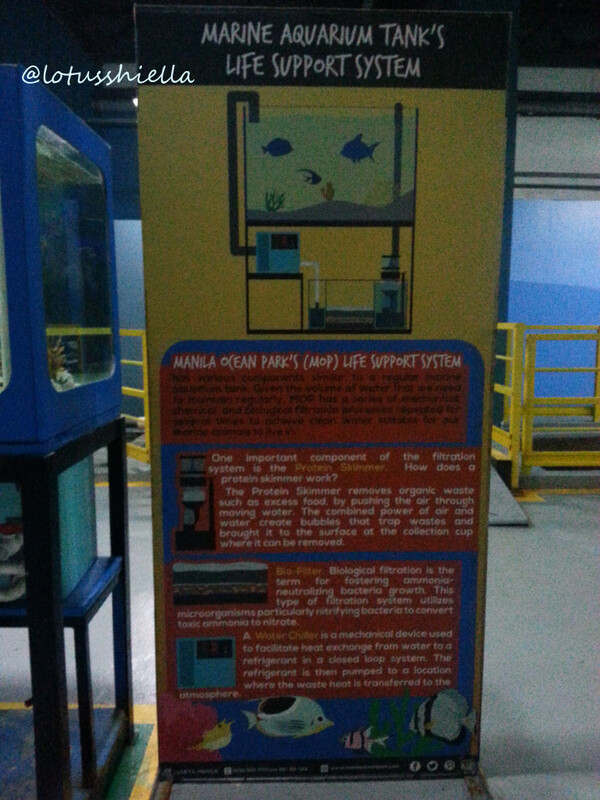 Located across Roxas Boulevard and just in front the Luneta Park, Manila Ocean Park is a recommended place to explore freshwater and seawater creatures. 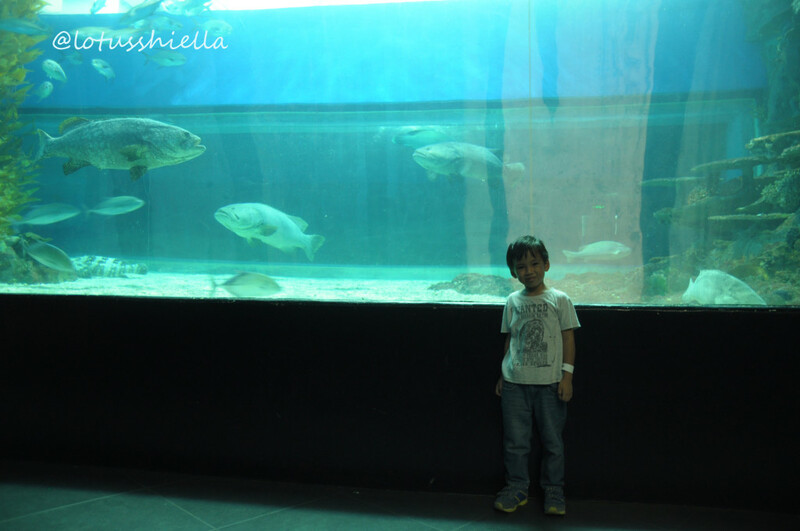 My kids love water so much thus, a visit to the park is surely a good idea to get up-close and personal with the marine life. 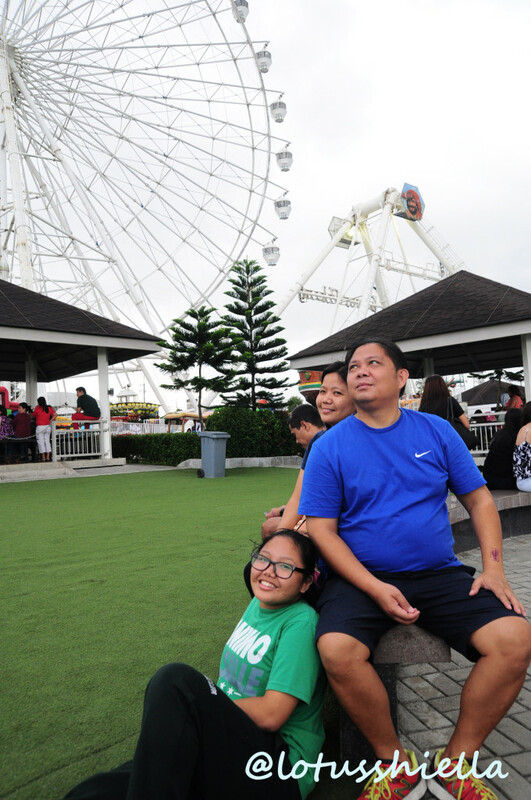 Went there on a weekday to avoid the crowd and because its summer, we were able to avail their summer promos wherein they combined different attractions for a certain price. 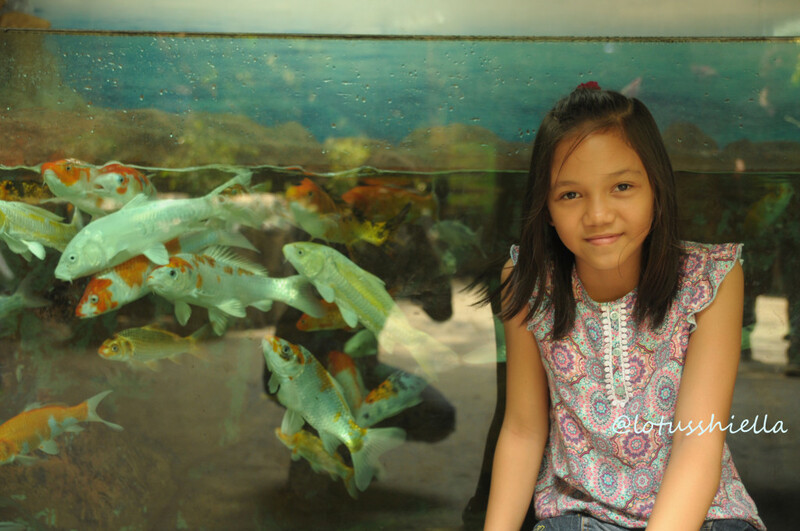 We chose a 580php package and that includes a visit to Oceanarium, Back of the House, Jellies Exhibit, Sea Lion Show, Sharks & Rays Dry Encounter and the Symphony Evening Show. Arrived at the park around 10:30AM and because we still have to queue for our tickets, we were not able to watch the 11AM schedule of sea lion show, thus have to start our exploration in the Oceanarium. 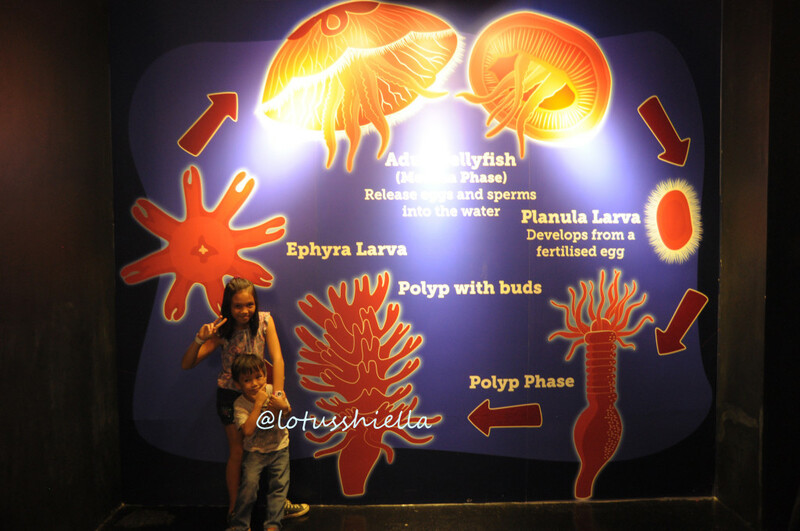 The main attraction of the park which consist of the 4 sections — the Agos, the section which will greet you as you enter the oceanarium, displays fresh water animals and crocodiles; the Bahura, a dark room with lighted aquariums, thus you’ll be dazzled by the fishes with the reefs and corals as their colors are emphasized; the Laot, fishes in the deep of the ocean and the Buhay Ng karagatan, the tunnel with lots of fishes, sting rays and sharks. 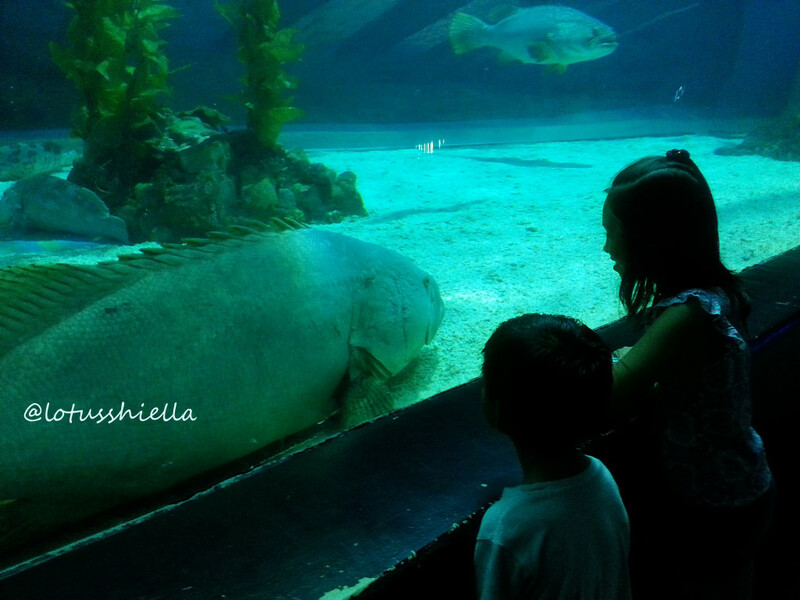 We spend most of the time in the aquarium that we forgot to take our lunch. Food stalls are available inside the park so you don’t need to worry though as there are a lot of options. After our lunch, we went to see whats inside the back of the house attraction. The noisiest room as it pumps water from the bay. 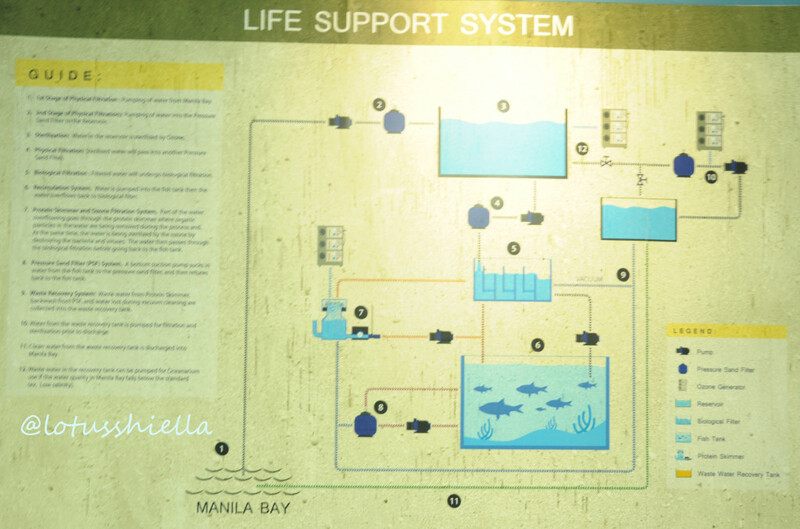 This room reveals how they get water from the bay, the water filtration and oxygenation process so the marine creatures gets to enjoy the clean and safe water. 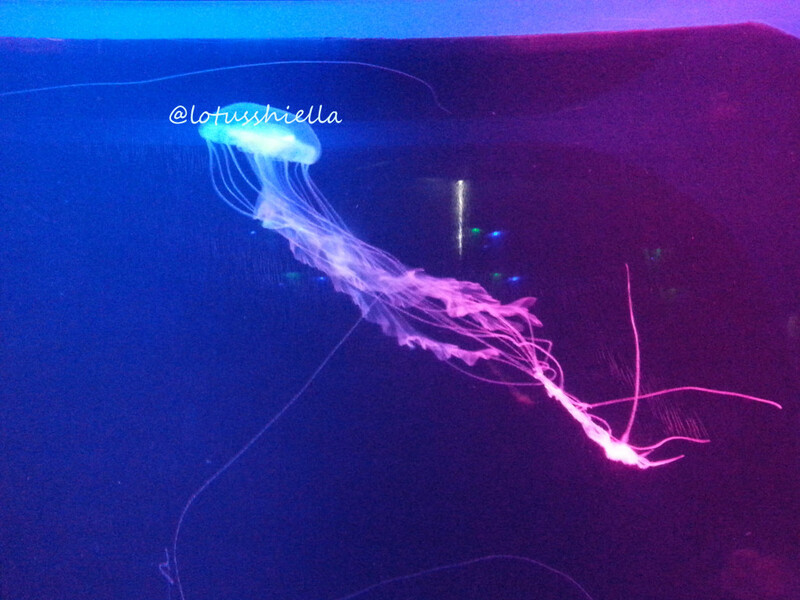 Dancing fairies indeed as we were mesmerized by the jellies as they change their color based on the lamp’s light. 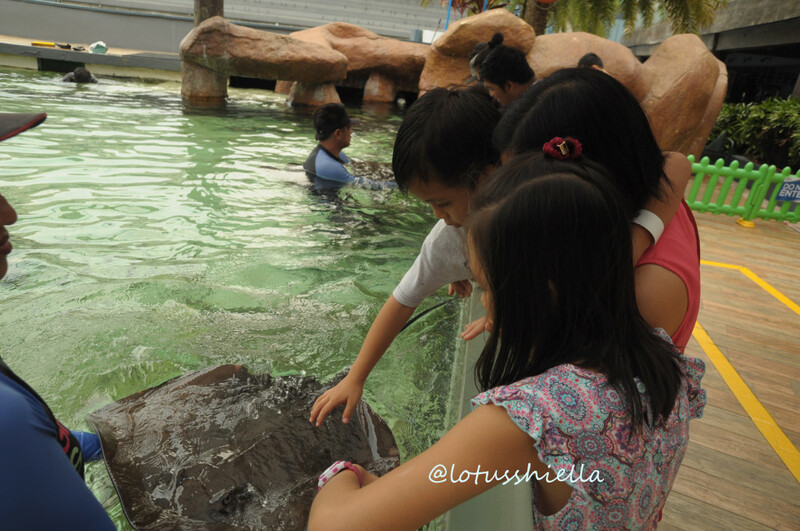 The chance to touch the sting rays. We waited for the 3PM schedule to watch the sea lion perform. 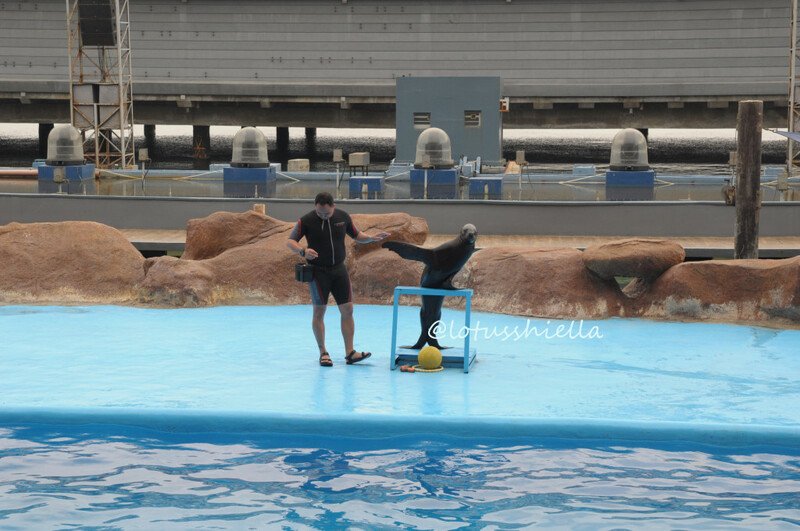 The 20-minute show displayed stunning tricks of the two sea lion together with their respective trainer. Tricks like giving a big smile, a fliper wave, their ability to retrieve the lost items, their jumping skills, their dancing skills and they even kissed one of the audience. 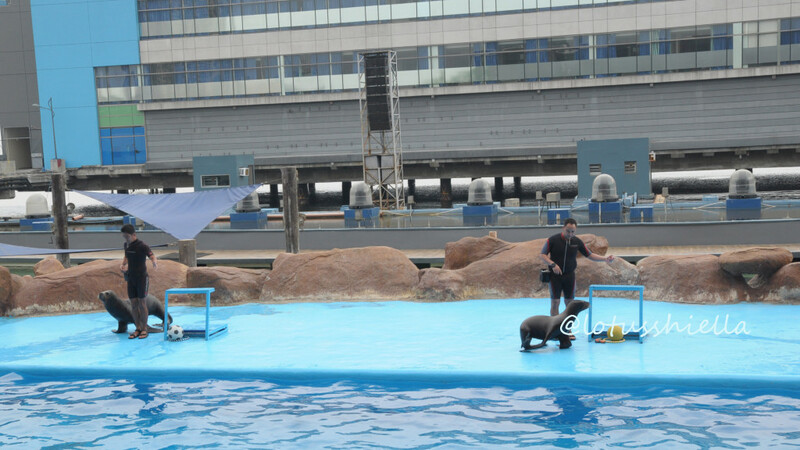 I personally admire how these animals gave us a good show, even my kids were amazed on how talented these sea lions are. We were not able to stay long to wait for the fountain show as we need to travel going down South. 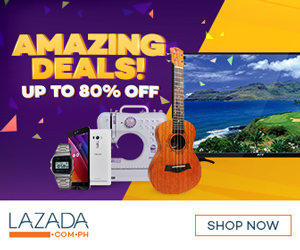 – There are plenty of attractions not included in our package like the Trails to Antartica (Penguin Exhibit and Snow Village), Birds of Prey Kingdom, World or Creepy Crawlies, Fish Spa and Aquanaut, thus spending an entire day to visit all attraction is recommended. 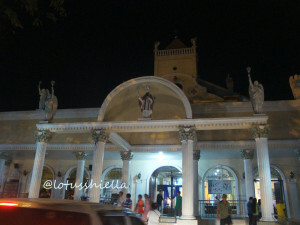 – Foods bought outside are not allowed, don’t worry though as their are lots of foods stalls inside. 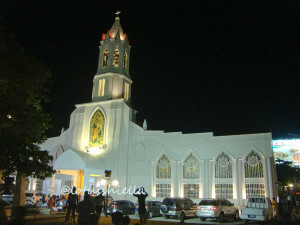 – Bring camera but be aware that some areas prohibited the use the camera flash. – Be mindful of the schedule of the show, they will not let you in when you are 5-10min late. – Baggage counter is available inside the park. For us, it is our chance to tell to our kids Jesus’ story of giving up His life in order to save us, by reading the Stations of the Cross. 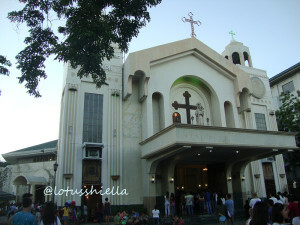 For this year, last Maundy Thursday, we visited nine of Cebu’s beautiful churches.